We compiled the ultimate list of evergreen content ideas to help our readers. You can use this as an inspiration when you feel a lack of ideas. Content is evergreen if it is still relevant and useful weeks, months or even years after it was originally published. In other words, evergreen content is always going to be relevant to someone. People will always be searching for it. Why should you create evergreen content? Evergreen content, if done right, can generate tons of organic traffic long after it was published. This is especially valuable if you don’t publish new content on a regular basis. This means every evergreen content you create is a long-term investment. You can focus on the quality and stop pushing yourself for quantity. You can find more tips in this guide: How to Write Effective Post Titles. 1. How-to-Use Guide: write an in-depth guide on how to use a selected tool or platform. Tools may date over time, but a good guide has a long shelf life. 2. How-to-Choose Guide: people are always looking for new products, tools or services. Share your tips on how to pick the best one. 3. How-to-Make Guide (DIY): do it yourself guides are very popular. Know how to create something valuable by yourself? Share step by step guide with others 4. Beginner’s Guide: provide an entry point and explain new concepts to the readers who are just starting out. 5. How-to for Advanced Users: sometimes advanced guides are easier to write than beginner guides. Your readers already share expertise and a common language. Write a very specific guide for experts to show your knowledge and build trust. 6. Help Documents: great evergreen content material. Carefully select keywords so that your content will appear high in Google searches. Keep it relevant to your business. 7. Buying Guide: explain what people need to know to purchase a certain item, including ways to compare different brands and choices. Ikea created very informative Bedroom Mattress Buying Guide. 8. Frequently Asked Questions: get all the answers in one place. Collect the questions you frequently get from your existing customers. You will be able to refer to this piece of content many times. 9. New Clients’ Questions: we often prepare great content in emails to onboard new users. One more evergreen content idea would be to publish this content for everyone to read. 10. Definitions: every niche is full of new acronyms, terms, and jargon. Your readers will appreciate it if you help them understand these words. 11. Best Practices: share best practices that you know are working in your niche. Times are gone when you kept secrets to yourself. Now people who share their knowledge win the respect and clients. 13. Comparison: show your expertise by comparing different tools, providers or services. Some companies even found a way how to create evergreen comparison pages automatically. 14. Product Reviews: this is one of the most popular evergreen topics. Use this as a way to have your say on the current market. 15. History: when something hits the new site headlines, people often wonder how it ever got there. As an expert, you can provide the history of a subject to explain how everything got to this point. Since you’re writing a history, it will stay evergreen. 16. Strategy: write a detailed, specific advice on the execution of a strategy for your niche. Practical strategies will never go out of date. We love this link building strategy shared by Brian. 17. Trend Explanation: trends change all the time but insights, why the trend appeared in the first place, is a good topic for the evergreen content idea. 18. Top Niche Influencers: compile a list of influencers you respect and recommend to follow. Explain why you included them and how to find them online: Twitter, Linkedin profile or a web page. A good example of Top 50 Social Media Influencers. 19. Best Niche Blogs: this type of content is especially useful for the newbies in your niche. Share what blogs you check regularly to stay up to date with your market. 20. Common Mistakes in Your Niche: outline common mistakes in your market. Then provide tips on how to avoid and overcome them. This will be a long-lasting valuable evergreen content. 21. Complete Glossary of a Niche: your readers might run into a term they’re unfamiliar with. You can create a complete list of definitions that your niche readers should understand. You can refer to this evergreen content every time you get a question about a term that was already covered. As an inspiration, you can have a look at this Content Marketing Glossary. 22. Annual Events: is there an important industry event happening every year? Create content around that – it will bring spikes in traffic every time that date rolls around in the calendar. 23. Best Conferences: people are always looking for good industry conferences to attend. Create a list of your niche conferences. Explain who should attend, when it takes place and include the price range. 24. Humorous Industry Insights: you do not have to be serious all the time. Content that makes people laugh is a great candidate for social sharing. 25. Busted Industry Myths: every industry has myths that some people still believe are true. Bust it and explain why the opposite is true. Derek Halpern busted the myth that Content is King. In 1996, Bill Gates wrote an essay titled “Content is King”, which was published on the Microsoft website. This phrase has become a mantra repeated over and over again by internet marketers. 26. ‘Known Errors’: if you have a workaround for a known problem – share it. You will constantly bring in traffic from people with the same problem who are looking for a solution. 27. Industry History: a lot of good stories are wrapped up in the history, and you can tell that story to build yourself up in the minds of your potential users. You can do your audience a favor by making sure they know what others have done in the past. Get inspiration from this Sofa Story. 28. Historical Examples: there are many stories of successes in the industry that provide valuable insight. Compile those stories to build a great piece of evergreen content for your audience. 10 Stories of Unforgettable Customer Service is a great illustration. 29. Ideas: any job has the constant need for a fresh supply of ideas. You can provide those ideas as a tool – explain your unique process to new ideas generation. 30. Technical Process: I bet you are an expert of some technical products in your niche. Even if the product itself is simple, the way it is used can get a little complicated. Create an evergreen content that walks newcomers through a process. 31. Best Books in Your Market: there are many good niche books out there but it is always challenging to find them. Help your readers by sharing your own recommendations. 32. Best Videos Explaining Your Market: in this digital world, some people find it easier to learn by watching video content. Collect the best videos in one place and share them with your audience. 33. Product or Service Features: write a detailed explanation about every product feature or service you provide. You will be able to refer to this content every time someone asks for more details. 34. History of Your Business: share how it all started. It is always interesting to know more about the company you are working with. This helps to build a relationship with your customer. 35. Company Values: if your company pursue strong values – it might be a good evergreen content idea to share them with your readers. 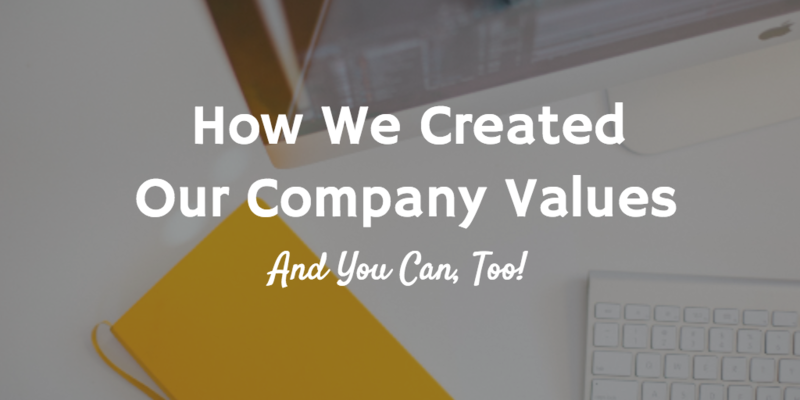 Buffer shared how they created company values. 36. Alternatives: how frequently do you get a question “So how are you better than x, y, or z?”. Maybe it is worth to answer this question for everyone to see? Company Everypost did a good job comparing itself with Buffer and Hootsuite. 37. Where You Were Mentioned: you probably earned some valuable mentioned on other web pages already. Why not share that? 38. User Survey Results: to build a great tool you need to talk with your customers. You can always survey your users to know more about them. It helps you build a better product and it could be a great content for a new post. You can easily create a free survey with Typerform. 39. Design Changes: product evolves with time. Walk your readers through all the design changes you had and tell a short story about every step. Do you remember how Google looked in 1997? 40. Branding: explain why your brand looks like it does. Include some details about the process you took. Great example by Google – Evolving Google Identity. 41. Philosophy: your brand might have a philosophy about some things. Share the unique perspective with your readers. 42. Vendors You Trust: you know how hard it is to find a vendor you can fully trust. Do a favor to your vendors and people who are looking for a new partner – share your recommendations. 43. Case Studies: provide real-world examples which help potential customer to make a decision to work with you. Ask your current customers if they are willing to collaborate and create a new case study together. 44. Your Success Story: since case study is a success story of your customer, you can share your company success stories as well. It could be a successfully implemented SEO strategy, agile method results or anything you want to share with your audience. 45. Client Testimonials: best marketing channel is a happy customer that talks about your product. Make sure to collect good testimonials and share them with your site visitors. Using Hiplay since Day 1 has let me have more time to create. If you Blog, Tweet and Buffer, you need Hiplay. It’s like having coffee with hot water, irreplaceable! 46. Research Results: maybe you did an internal research recently? Share your results with the rest of the world to have one more valuable piece of evergreen content. 47. Your Secrets: we want to learn from others, so it’s only fair that we reveal a little of our own secrets. 48. Comparison: use your own voice and judgment to compare something. It could be tools, services, places to visit or anything you feel like sharing. 49. Product Reviews: the shared economy would not be possible without reviews generated from the people who have already tried the product or service. Share your own opinion with the readers. 50. Failures: sometimes you can learn more from failures than from success. Help you readers by sharing your own failures. 51. Services You Use Every Day: you might change the services you use but write about the ones you currently use and how you picked them. 52. Bio and Your Skills: write about yourself, explain your skillset. Tell why people should work with you and what are the areas you can help with. This piece of content should be updated from time to time. 53. The Way You Work: we all have our own work principles – share yours. 54. Strategy For Being Productive: productivity tips are always very popular. If you found something that works for you – share it with others. It doesn’t have to be a method you created yourself. People are looking for a validation what works. 55. Your Recipe: have your very own recipe? Don’t keep it to yourself! 56. Favorite Life Hacks: productivity is one topic to cover but maybe you know other cool life hacks that your readers could benefit from? 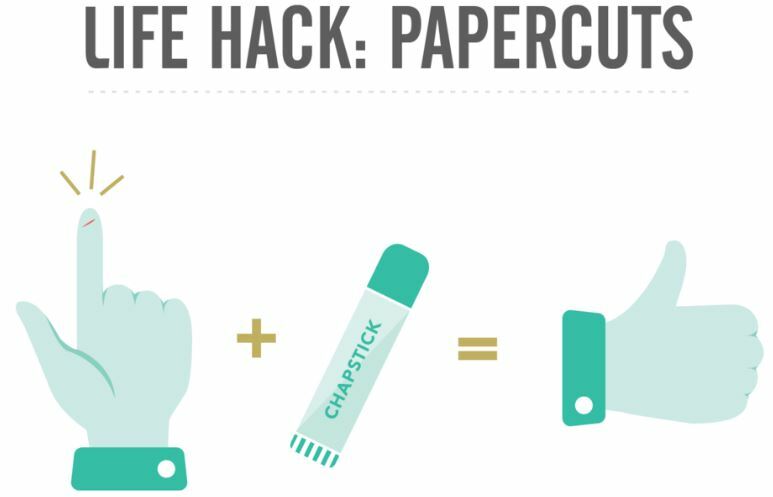 Handlr shared quite a few nicely illustrated life hacks. 57. Unique Viewpoint: share your own opinion on a topic that has been covered in depth by others. 58. 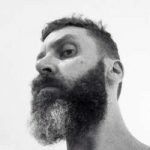 Self-Analysis Post: one blogger that we follow picks a topic for each month and then reflects on it. This is something you could try yourself. You can read Iveta’s Personal Growth Month reflection as an inspiration. 59. Planner: many things in life are cyclical. It’s very easy to lose that consistency that is so key to success. That’s where planners come in. Provide a plan for a specific task that is cyclical. 60. Training Plan: if you want to succeed – you need to train. Unfortunately, we don’t always know how to train for something. That’s where you can step in and provide a training plan for your audience. 61. Do Not Make This Mistake: people don’t want to fail and they try to avoid mistakes. Explaining common mistakes will make for a very shareable title. Like this one thing that people fail to do on Twitter. 62. Biggest Regret: if you feel like opening your heart to your readers – share the biggest regret that you have. 63. Best Lessons Learned: share the best life lessons you have already learned that your readers could benefit from. 64. Who Motivates You: it is always good to give credit to people who inspire you. Share what motivates you the most. 65. People You Can Introduce To: always introduce people to each other if you think they can both benefit from that. Why not share a list of people who you are willing to introduce to. But please make sure people agree to be included in your public list. 66. Transformed News: this one is not straightforward as news date, but some stories have a longer-term impact. Figure out how to spin news stories into something more long-lasting, and more useful. 67. Series of Tutorials: tutorials allow people to get the knowledge they need to achieve their aims. You can create tutorials yourself or collect good tutorials from other sources and put them all in one place. 68. Embedded Presentations: again, you can create presentations yourself or collect good presentations on the specific topic and include them in your evergreen content. 69. Inspiring Quotes: collect a list of inspiring quotes on a specific topic. Include “click-to-tweet” links to make it easier to share for your readers. 70. Holiday Posts: this might not sound like a good evergreen content idea but don’t judge too fast. Yes, Christmas only comes once a year, but out of all the holidays, it requires the most preparation. From the early September through December, customers are looking for anything holiday-related. Compile a post with valuable recourses for all these people out there. 71. Checklist: if you lack evergreen content ideas – create a checklist. It is easy to scan, and helpful to your readers. And to be honest – it is quite easy to create! Our user Leslie created the Twitter Optimization Checklist. 72. Resource List: share a list of useful resources you recommend. Have a look at our Social Media Resources list. 73. Books on a Topic: list your recommended books on a specific topic and briefly explain what the book is about. Link to the Amazon or other places where the reader can buy a book is always useful. SproutSocial shared 14 Must-Read Social Media Marketing Books. 74. Best Free Tools: this type of evergreen content is always very popular. Share the list of free tools that help to achieve a specific aim. 75. Best Paid Tools: the same like the above, a bit less popular but still very valuable. Share tools that are great but not necessarily free. 76. Music List: we love when companies share their music collections. You can do the same for your readers. Listen to the Humanity in Technology playlist by the Quuu team. 77. Podcasts List: share a list of specific podcast series that cover a targeted topic. 78. Recommended Movies: we all love good movies. Share your favorites. This could be your very personal recommendations or connected to your industry. 79. Groups to Join: there are many Slack or Linkedin groups to join but not everyone knows about them. Share your gems. 80 Free Online Courses: you have to constantly learn if you want to keep up with the speed. Help you readers by sharing links to the free online courses they can attend. Browse Udemy, edX, Coursera, and other platforms. Here is a list of 10 free online courses in social media. 81. Top Sites to Learn: you can share a general list of sites where your readers can learn online. 82. Bucket List: share a bucket list ideas with your readers. It does not have to be your bucket list since it needs to be updated but a list of ideas for others is truly evergreen. 83. Gift Ideas: save your readers from the hassle and share original gift ideas. Maybe you can even include your own products in the list? 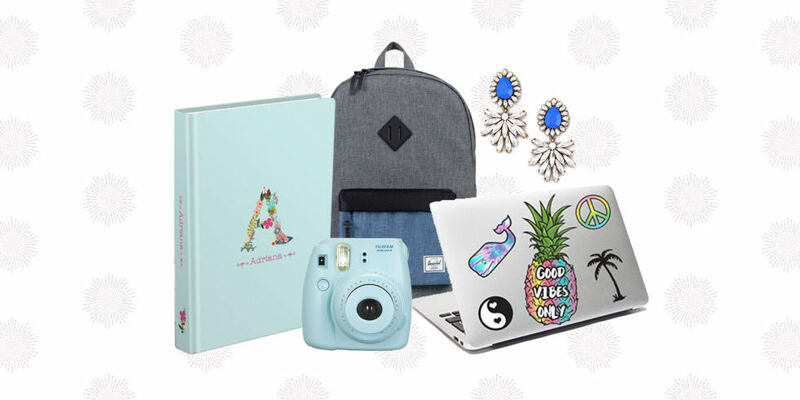 Have a look at this 50 Gifts for Teens as an inspiration. 84. Favorite Places: list your favorite places to visit, to eat, to travel, to work. This is how your readers discover new gems. 85. Favorite Mobile Apps: we cannot live without our mobile phones. Share apps that help you save time, stay more active, make you more productive or help you to relax. As you can see there are many evergreen content ideas to pick from. But evergreen content is not always about the topic you write about. It can be created in many different forms. Take any topic from the list above and think if you can transform your content to these content types. 86. Interview: this is a great type of evergreen content and an energy-efficient way of generating traffic. People are always looking for an expert insight. Pick any relevant topic and find an expert to interview. 87. Podcast: audio content is relatively easy to produce. You can do it on your own, just steer clear of chatting about a relevant topic and publish it on your site. 88. Training Course: create a course on Udemy and link to it from your website. People love learning online, especially if the course is free. 89. Meme: there are many tools online that help you edit photos at ease. Create a fun meme and share it with your audience. Some memes about social media for inspiration. 90. Email Template: have a great email template that works wonders for a specific goal? Why not to share it with your readers? 91. Book: sometimes people produce so much content that it could be easily published as a book. Nowadays you do not need to have a publisher – you can create PDF book yourself. Give it away to your readers in exchange to their email address. 92. Webinar: one more popular content type that could be evergreen. Create a webinar on a specific topic and give access to it from your website. Learn how to create a free webinar. 93. Slideshare: you can turn almost any blog post to a slideshow presentation. Share it on the Slideshare to reach a broader audience. Have a look at how we turned our blog post to a slideshow. We used a free tool Canva. 94. Email Course: there are certain subjects that are too broad to be covered in one post or video. That’s where the email course comes in. Create a series of emails over a few months that teach how to do something more complicated. Learn how to create your first email course. 95. Photo Slideshow: sometimes photos are better than any amount of words. Create a slideshow of photos that you want to share with your audience. This could be your office tour, designs of your previous works etc. 96. Gif: jump on a trend and create a unique gif. We personally find it very fun when companies include gifs with their employees in them. 97. Wallpaper: create a wallpaper that will resonate with your audience and will remind your brand. We love DesignLoveFest wallpapers so much. 98. Infographic: use this type of evergreen content to transform complex information and data into graphics that are both easy to grasp and visually appealing. There are many free tools to create an infographic. 99. Video: you can create videos in many different ways. One of the easiest is to turn your blog posts into videos using tools like Lumen5. Free video tool Loom will help you create quick tutorial videos. 100. Video or Podcast Transcript: if you created a video or podcast covering an evergreen topic – transcript it and share the text along the video/podcast to make it more searchable. Here we are – all 100 evergreen content ideas! I hope this list jumpstarted your creativity to come up with an idea for your next piece of content. If you have suggestions how to improve this list – please leave a comment below! Hiplay co-founder. Social Media practitioner, Life Hacker thinking lean. Loves to create digital things and enjoys startup environment. That was really, really helpful. This is an excellent post Aure. Thanks for all of the inspiration!